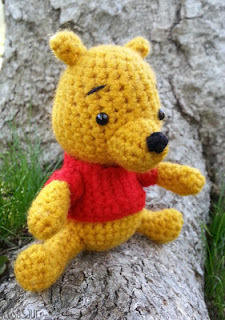 My wonderful college friend, Jon, commissioned me to crochet the beloved Winnie the Pooh. 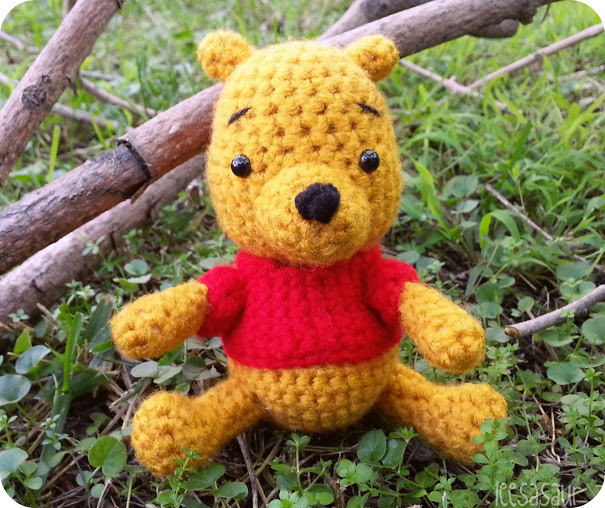 Although, as a child I always adored Tigger, I can't deny that Pooh has a soft spot in heart. 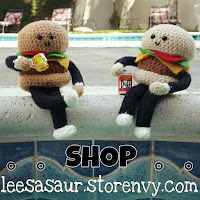 His ridiculousness and gluttony is entertaining, but he's adorable when it comes to his friends. I like the idea of my toys being alive and having their own separate adventures, but I rarely go into depth as to the friendships they may have with each other. 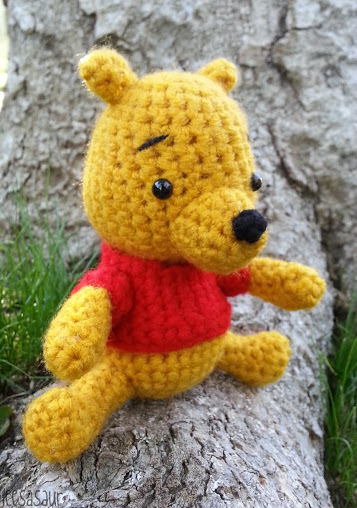 The dynamic friendship and bond of the characters in the "100 Aker Wood" is what makes the stories of Pooh so sentimental to children and adults. I always liked the old school Pooh Bear, and other character plush they show during the narration in the beginning of the movies, so I wanted to give mine that sort of dull, nostalgic look. The skein of yarn I used for him was softer than usual, so it made him extra cuddly, thus extra harder to give away. 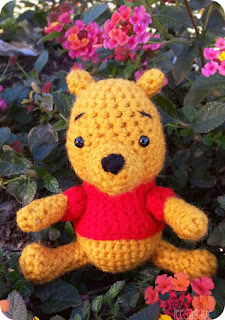 I'm just glad to have made him, and glad to make someone's Christmas this year!